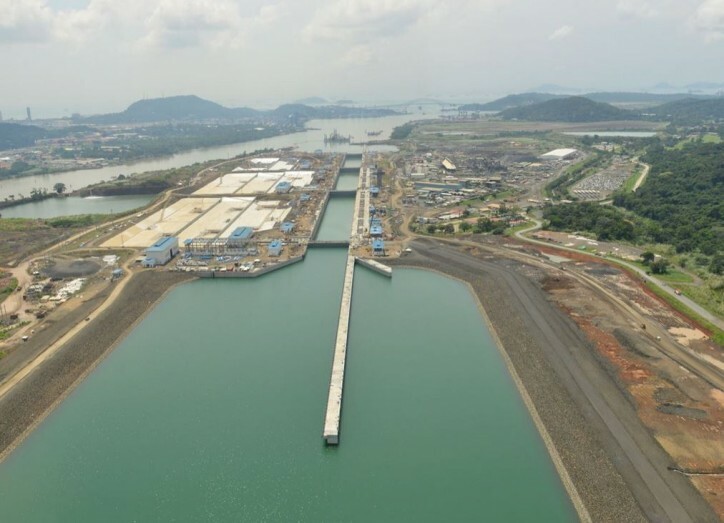 The Third Set of Locks, the most important engineering project of the last ten years, which will expand the Panama Canal, has entered its countdown phase and as of today is 95% complete. This communication was given by Grupo Unidos por el Canal (GUPC), which includes Sacyr (Spain), Salini Impregilo (Italy), Jan de Nul (Belgium) and Cusa (Panama). The project is expected to be completed in April 2016, after seven years of hard work and more than 100 million working hours. The 16 main sliding gates, on the Pacific and Atlantic sides, weighing an average of 3,300 tons, are responding positively to all electromechanical tests. Alignment, synchronization and hydraulic seal systems have all also stood the most severe tests. The concrete supporting structures have also hit the mark. These verifications allowed to identify some filtration in one of the concrete lock heads on the Pacific side, for which the repair solutions have been identified, including strengthening done with a special type of steel. The tests, which will continue for at least three months, before the navigation testing starts, represent an essential part for optimizing the project, which has no rivals in technical and design terms. These tests, required by contract, are more severe than any other possible condition that will be faced during the normal operation and maintenance of the canal, and are demanding the full cooperation between Designers, Contractor and Employer to reach the goal to deliver the Third Set of Locks to the Panamanian people at the best conditions. 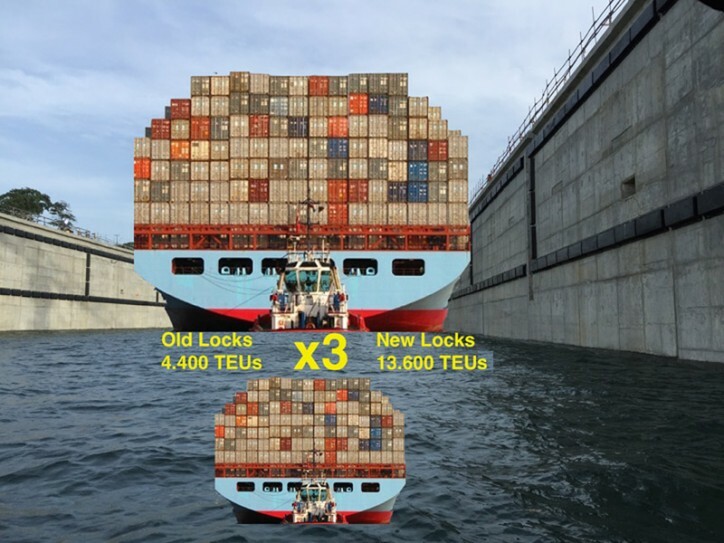 The expansion of the Panama Canal, with this new interoceanic way, in addition to the already existing one, launched in 1914, will allow the passage of larger ships known as “Post-Panamax”, measuring nearly 400 meters in length and with a capacity of 13,600 TEUs against the previous 4,400 TEUs.